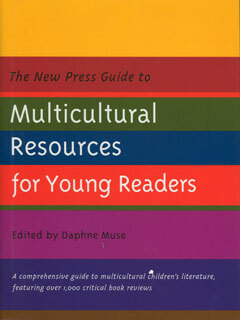 With over a thousand reviews of multicultural children’s books organized by theme and reading level, The New Press Guide to Multicultural Resources for Young Readers offers what librarians, educators, and parents have been demanding for years: a comprehensive, definitive resource guide to multicultural reading material for children. The culmination of over five years of work involving hundreds of leading educators and librarians across the country, and funded by major grants from the Hitachi Foundation, the W.K. Kellogg Foundation, the Lilly Endowment, and the Aaron Diamond Foundation, The Guide is the definitive work in its field. All reviews have been written especially for this volume by teachers, librarians, and others actively involved in using these works with children. The reviews are organized using an innovative thematic approach designed to aid teachers and parents in integrating these works into existing reading lists and at home. The Guide includes essays on key issues in multicultural education, such as recent immigrant experiences, human rights, and building cross-cultural relationships, as well as classics like the Council on Interracial Books for Children’s “10 Quick Ways to Analyze Children’s Books for Racism and Sexism.” Also included are critical pieces such as “Illustrating the Point” and “Ethnic and Gender Stereotyping in Recent Disney Animation,” commissioned especially for this volume. An essential reference, The Guide will change classrooms, and will introduce a generation of readers to the best of multicultural writing.